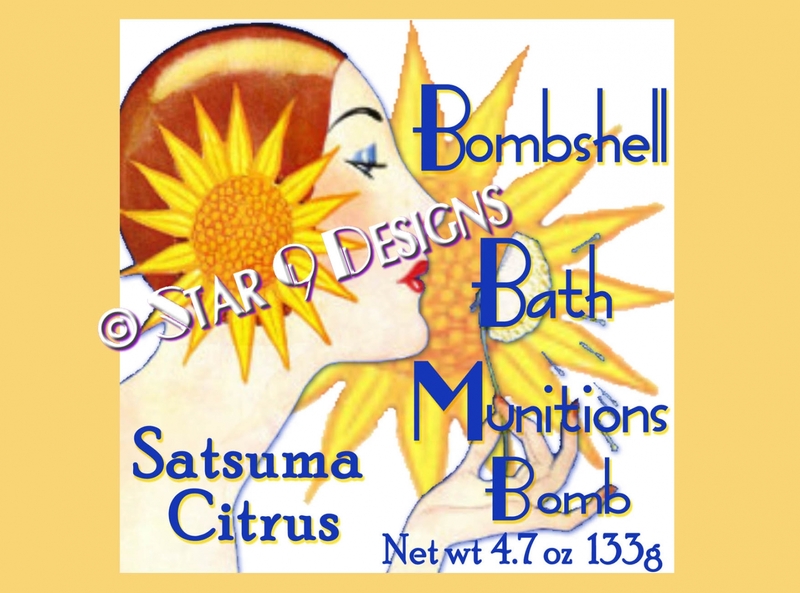 Star 9 Divine Bombshell Bath Munitions from The Decadent Age™ Line. 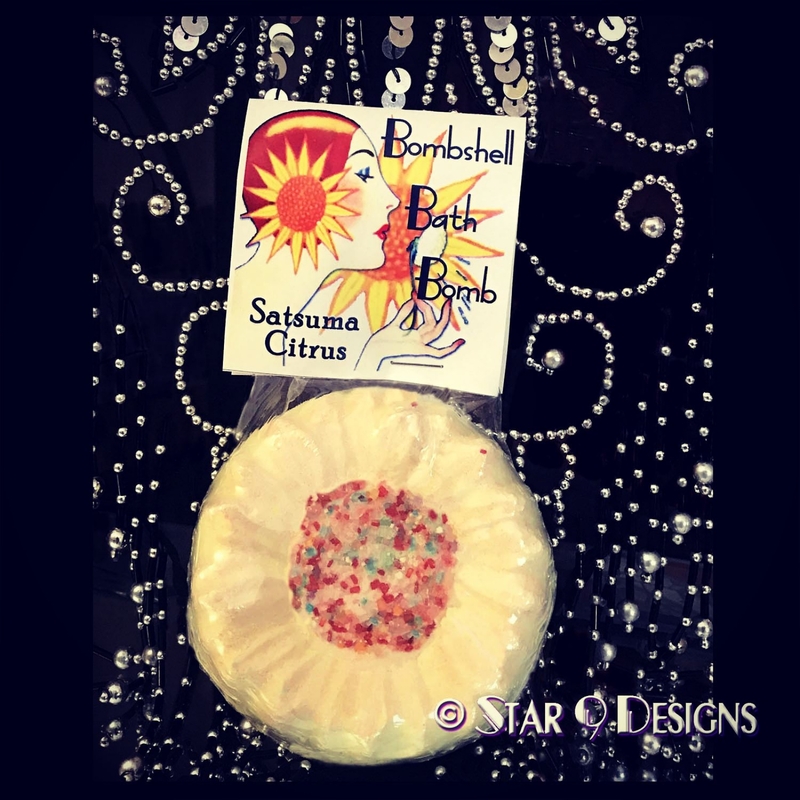 Handcrafted Sunflower Scented in Satsuma... a Wonderful Energizing and Intoxicating Blend of Orange, Mandarin, Peach, Mango, Lime, Jasmine & Orange Blossom. 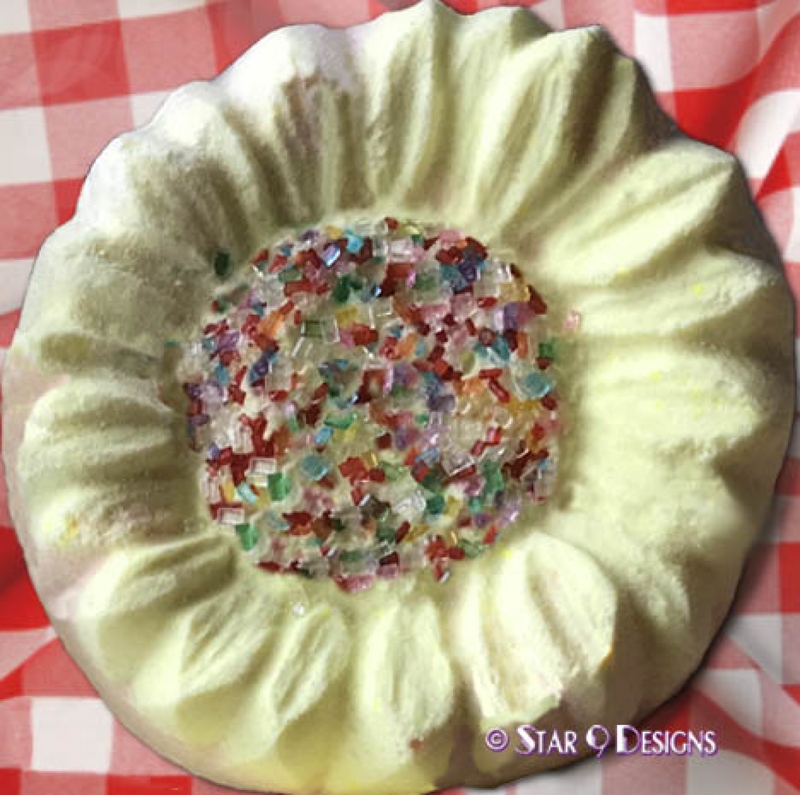 baking soda, citric acid, cornstarch, slsa, organic sunflower oil, premium phathalate-free fragrance, kaolin clay, water, glycerin, sugar sprinkles, fd&c cosmetic yellow 5, yellow 6. Net wt about 4.7 oz (133 g). A complete list of ingredients is provided on every label (photos are representative only). Store in the wrapper in a cool dark place.